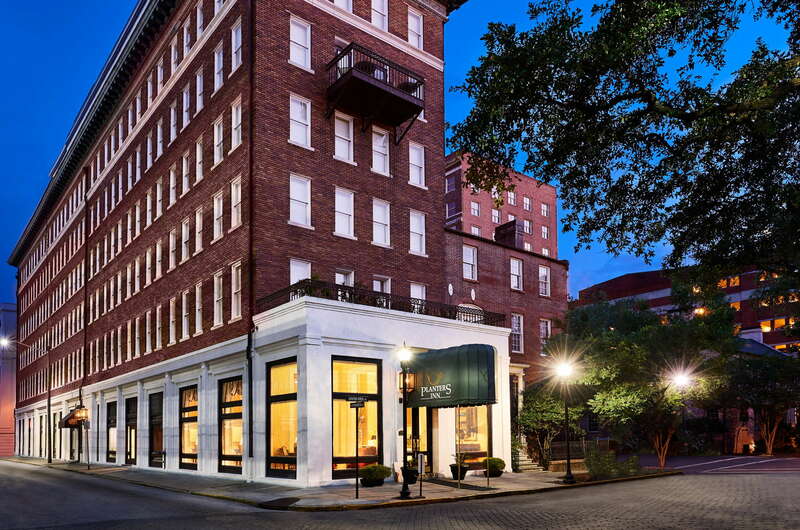 A Savannah landmark, the Planters Inn makes sure its guests mix and mingle—the evening wine-and-cheese reception is a house party where the concierge introduces fellow guests, a good cross-section of leisure and business travelers, many of whom are repeats. 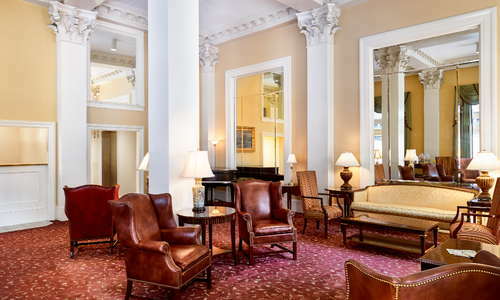 Built in 1812, the hotel's lobby retains the regal tone of a bygone golden age, with classical music adding to the ambience. 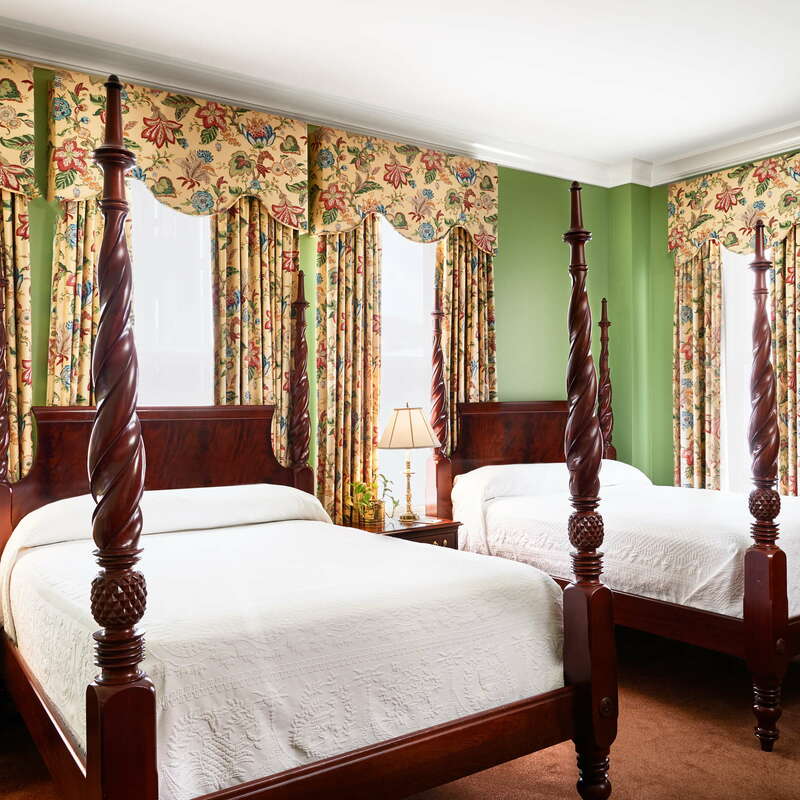 Guest rooms are decorated with fine fabrics and Baker furnishings (a 1920s design named for the Dutch immigrant cabinetmaker). The best overlook Reynolds Square; some have working fireplaces. Continental breakfast is delivered to your room. Guests are asked (with a wink) not to disturb the friendly ghost who reputedly inhabits the hotel. 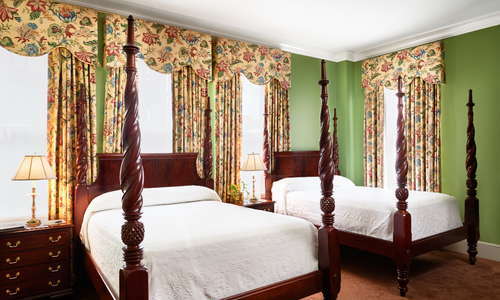 Splendor and finesse await guests in their rooms, with antique reproduction furnishings, botanically inspired drapes covering floor-to-ceiling windows, and regal four-poster beds. Televisions are cleverly hidden in elegant wooden cabinets so as not to detract from the illusion of grandeur. No detail is overlooked in the retelling of this antebellum story for modern travelers. Planters Inn uses high-quality hypoallergenic bedding, making it a great luxury accommodation choice for those who can't abide down bedding. Bathrooms add comfort and charming details wherever they lack the generous square footage afforded by newer buildings, although some bathrooms really are large compared with other hotels in town. 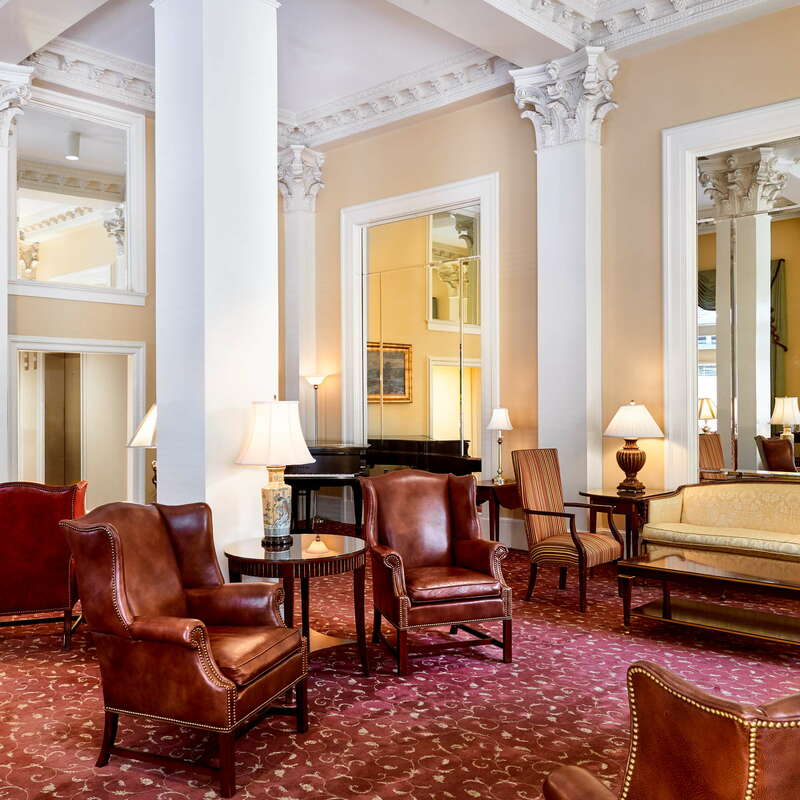 In keeping with tradition, the lobby is a grand social center that makes guests feel like they're attending a high society soiree whenever they pass through. 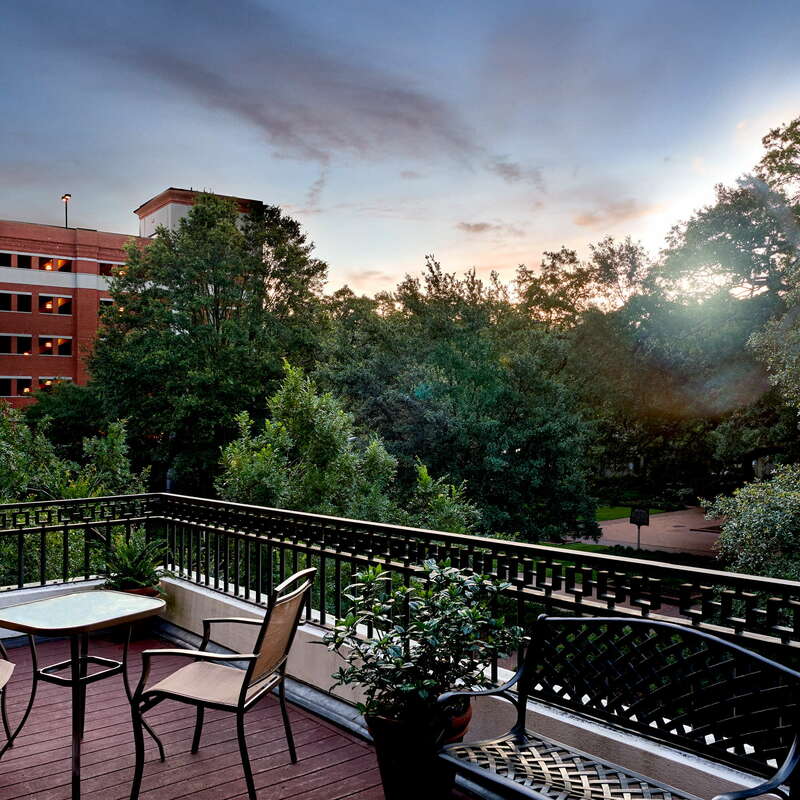 Savannahians are known to indulge in the afternoon tipple; Planters Inn encourages this spirit of laissez-faire fun with wine and cheese receptions and warm, freshly baked cookies in the evenings. Although there is no fitness room onsite, the concierge will offer guests complimentary passes to a nearby gym. Evening wine and cheese social from 5:30 to 7:30, except on Sundays. 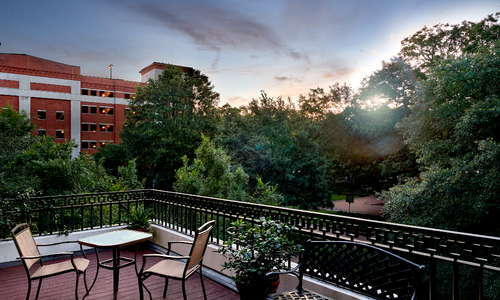 The Olde Pink House (1-minute walk) is an old Savannah institution and with good reason. From fried chicken to more creative culinary ventures, this gorgeous fine dining establishment elevates comfort food to the sublime. The crispy scored flounder is the house specialty. For warmth and spice, head over to Flying Monk Noodle Bar (4-minute walk) for fragrant Vietnamese Pho or savory ramen soup. And if you can brave the line, go to Leopold's Ice Cream (2-minute walk) for rich, homemade heaven made from the same recipe since 1919. Ordinary Pub (3-minute walk) offers tasty menu selections and the best bottomless mimosa brunch special around, even on weekdays. The Alleycat Lounge (7-minute walk), as you may guess from the name, is a hip speakeasy located in a quiet alley behind tourist-laden Broughton Street. The drinks are stiff, the decor and music are on point, and the bartenders are some of the best in town. 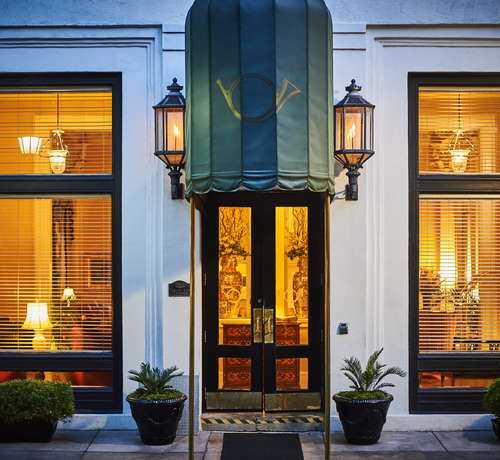 If you want to get the authentic feel of historic Savannah while a stone's throw from many of its greatest buildings and landmarks, the Planter's Inn is a great choice. This place oozes the special blend of grand style and playful insouciance that makes people fall in love with the Hostess City.